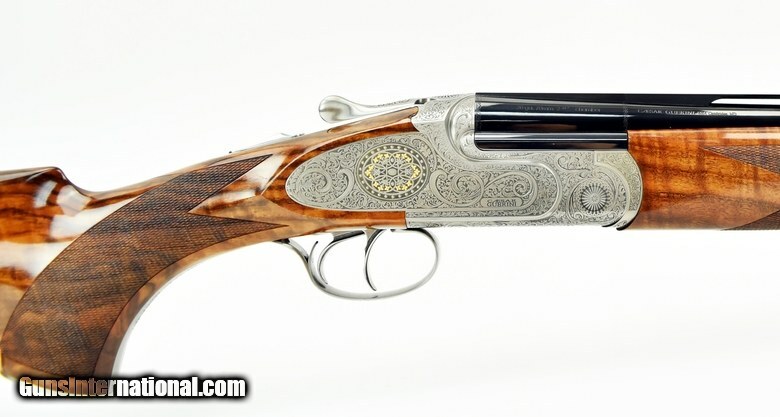 Caesar Guerini Apex 20 Gauge shotgun. Special order Apex sporting model with 32” barrels, double triggers and custom stock dimensions. 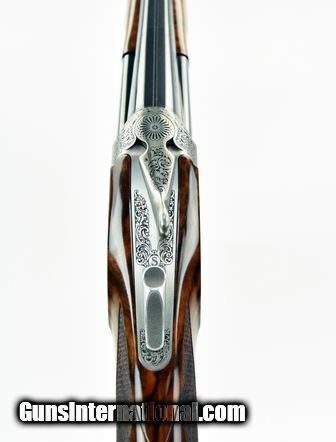 Has fully engraved sideplates with gold highlights and full length trigger guard with long tang and skeletonized pistol grip cap. The stock is of finely figured walnut with 1 ¼” DAC, 2 1/8” DAH and 15” LOP over a pad. 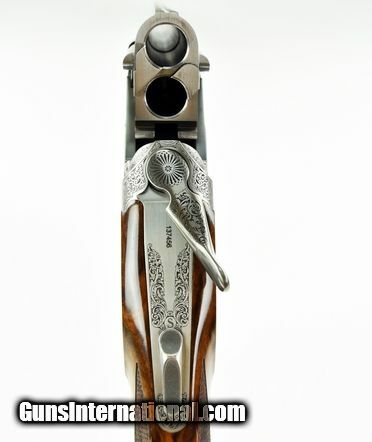 An interesting gun in excellent condition with case.